Anyone who desires to engaging in a business as subcontractor or contractor within the state of Delaware, whether they are a resident or not of Delaware is required to hold a license from Division of Revenue. Subcontractor – Someone or a partnership, corporation, business entity, or firm that enters within a contract directly with a subcontractor or prime contractor. A contractor who is conducting business type of activity within Delaware will be required to register and obtain a business license from Delaware Division of Revenue. You must complete and send documentation that is compliant with the necessary bonding requirements, workers and unemployment compensation insurance, as well as the licensing fee. Each form will be included within the Residents Contractors Package, and will be available via the state of Delaware website. Any out-of-state contractors will be required to use the Non-Resident Contractor Package. Experience, Exam, Education Requirements: Are They Required for Delaware Contractor Licenses? No, it’s not required at the moment. Although, Asbestos Abatement Certification will require training and licensing. Is contractor continued education required in Delaware? Contractor Continued Education: Is it Required in Delaware? No, it’s not required during this time. The date that licenses expire is on December 31st of each year. The licenses will be renewed for a length of a one-year period. The fee is $75. NASCLA Accredited Commercial Contractor License: Is it Accepted in Delaware? 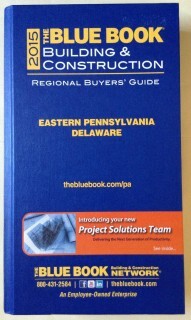 General Contractor Commercial Contractor License: Does Delaware Require One? Is There Reciprocity With Other States? No, the out-of-state corporations who do business in Delaware have a requirement who will need to register with Delaware Secretary of State. Question: How do I register my construction company in Delaware? What forms do I need to register my new company in Delaware? Question: How do I look up a company in Delaware or see if a company name is available to register?